Not all Electronic Arts-published games will be given the Project $10/ Online Pass treatment. Rather than slap Syndicate with a one-use code that unlocks the game's multiplayer features, EA will keep such access free, to grow interest in the shooter's co-op mode it says. Syndicate is being published by EA Partners, meaning it doesn't own the studio (Starbreeze). But EA does own the intellectual property behind Syndicate, making this a curious choice. Especially as Kingdoms of Amalur: Reckoning another title being published under EA Partners—with heavy, direct investment from EA—will be subjected to Online Pass treatment, and it has no multiplayer component. 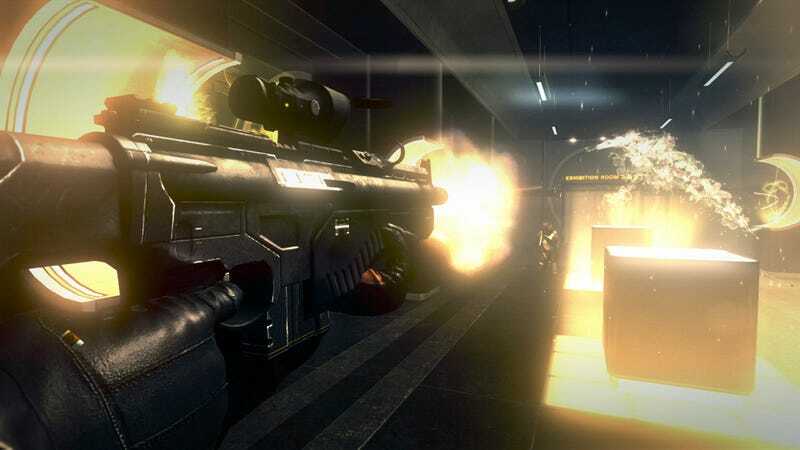 Other EA Partners titles—notably Crysis 2—have avoided such restrictions. All in-house series like Mass Effect and Dragon Age (as well as the entire EA Sports label) are by now assumed to carry Online Passes—which means if you buy a used copy of the game, you'll have to shell out $10 to get at certain content, typically online multiplayer access or extra singleplayer missions. Jeff Gamon, the executive producer of EA Partners, told Eurogamer that EA kept Online Pass out of Syndicate because EA wanted "as little resistance or barriers to entry as possible," Gamon said. "Under normal circumstances it would have had an online pass, but because it didn't have competitive multiplayer and because we wanted as many people as possible to be playing co-op, we got away with it," Gamon said.